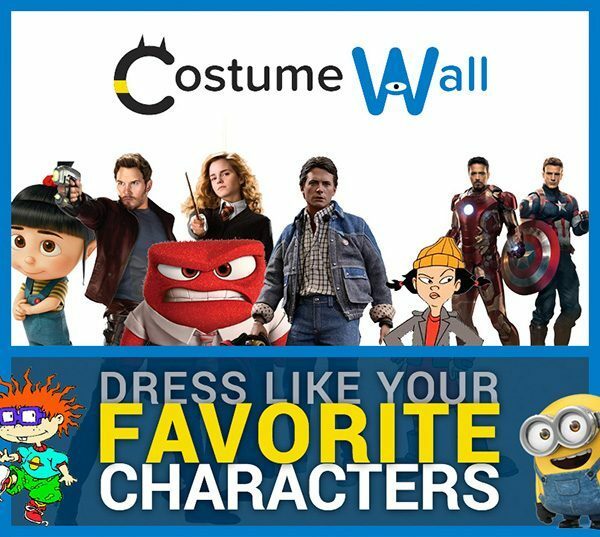 A BIG congratulations to the winners of the 2017 Halloween Costume Contest brought to you by Costume Wall! We were totally blown away by the creativity (and at times creepiness) of this year’s costume entries. With hundreds of contest submissions, selecting the winners took much longer than we anticipated (thanks for bearing with us)! From the terrifying Pennywise to incredibly detailed Lumiere, there’s quite a collection of Halloween costumes to browse through. First, second, and third place winners were awarded for each category—Best Overall Costume, Best Adult Costume, Best Kid or Baby Costume, Best Couple Costume, Best Group Costume, Best Pet Costume, Most Original Costume, and Scariest Costume. Check out the winning costumes from each of the categories below! The overall winners of Costume Wall’s 2017 Halloween Costume Contest. Each of these winning entries displayed an incredible level of detail. Winners will go down into Costume Wall history as the very best Halloween costume of all-time. The top three entries from the hundreds of submissions by adult men and women 18-years-old or older. These winniing costumes separated themselves from all of the other incredible Halloween costume entries for 2017. Showing a wide-range of creativity, the winning entries for the Baby/Kids category were selected from costumes featuring babies, children, and teenagers—ages up to 17-years-old. These one of a kind costumes were sure to stick out when trick-or-treating! Two are definitely better than one! These dynamic duos joined forces with a significant other to enter winning Halloween costumes. The top submissions teamed up to beat out all the other couple costume submissions. Coordinating three or more people together to dress up with a themed costume is a feat in and of itself. Though all the group costumes were impressive, these winning squads showcased matching costumes that were the best overall. Arguably the cutest of all categories, pet owners didn’t exclude their four-legged furry friends out the Halloween fun. These were the winning costumes among the dogs, cats, and other adorable creatures dressed up for this contest. This award is for costumes in a category all by themselves—literally. The top prizes for the original category were awarded based on uniqueness of both the character and the costume. Each winner stood out from the hundreds of costume entries. What would a Halloween costume contest be without a prize awarded to the scariest costume? This year’s winners did not disappoint. The 2017 Halloween Costume Contest featured many horrifying entries, but these were among the best! Thanks again to everyone who submitted their incredibly creative costumes for the 2017 Halloween Costume Contest. Join us again at Costume Wall for an even bigger and better Halloween Costume Contest in 2018! It’s not too early to start planning your costume submission now. We can’t wait to see you next year! Though we’ve selected just a handful of winners from the hundreds of amazing costume submissions this year, we would encourage you to check out all of the amazing costumes entries from the 2017 contest.